German Shepherd 101 is a hub for all your German Shepherd needs. Whether you are about to buy your first German Shepherd puppy, or have had several German Shepherds during your lifetime, we want to do make your life easier. The German Shepherd breed is the 2nd most popular breed in the world. And the need for information about the breed is only increasing. In fact, there are over 3.5 million German Shepherd dogs in the U.S.A. alone. There are lots of other resources in both books and on the web. But lots of these are out of date, and does not provide you with the newest research. 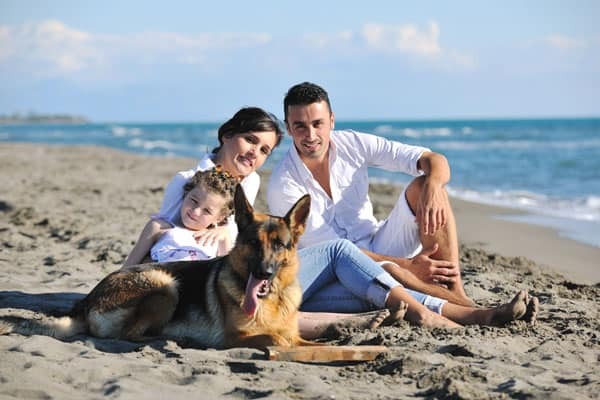 We realized that many of you are not quite sure whether they want a dog, or just whether or not they want a German Shepherd, or what exact steps you must take to buy and train a German Shepherd. Additionally, many of you who already have experience with German Shepherds want to receive additional information on how to keep developing your dog’ skills and intelligent. This is why we created German Shepherd 101 – to give you the best information available, no matter what phase you are currently in. What’s Unique About German Shepherd 101? There are a lot of resources available online about how to become a successful dog owner, however all of the websites we’ve come across are not very user-friendly. Sometimes, you don’t even know where to begin and those other sites can leave you even more confused than when you arrived. Our goal is to make things as streamlined and as easy as possible for you to follow. We want to walk you through the entire process so you can focus on training and connecting with your German Shepherd Dog, and less on what you need to do next. If you ever need to contact us, you can do that here.